It’s official. Former Massachusetts governor, former Olympic savior, former presidential loser Mitt Romney is, once again, running for president. Does EVERY republican have to run for president? 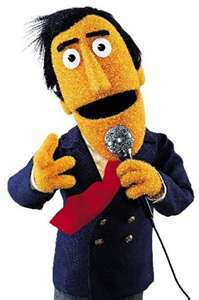 #1: He reminds me too much of Guy Smiley–the suave, slick game show host from Sesame Street. #4: He doesn’t just speak out of both sides of his mouth; he’s like that two-headed cow at the county fair. #5: He’s WAY too obsessed with his hair. Never trust a person with hair that doesn’t blow in the wind.